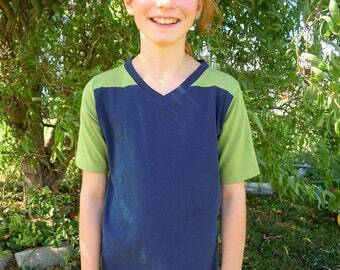 The Peter Henley is an intermediate sewing pattern. The directions are accompanied by technical illustrations and video demonstrating the placket assembly. The Peter Henley is designed to give the comfort of a T-shirt with a button placket added to dress it up a bit. The optional kangaroo pocket allows for a space for small hands or treasures. 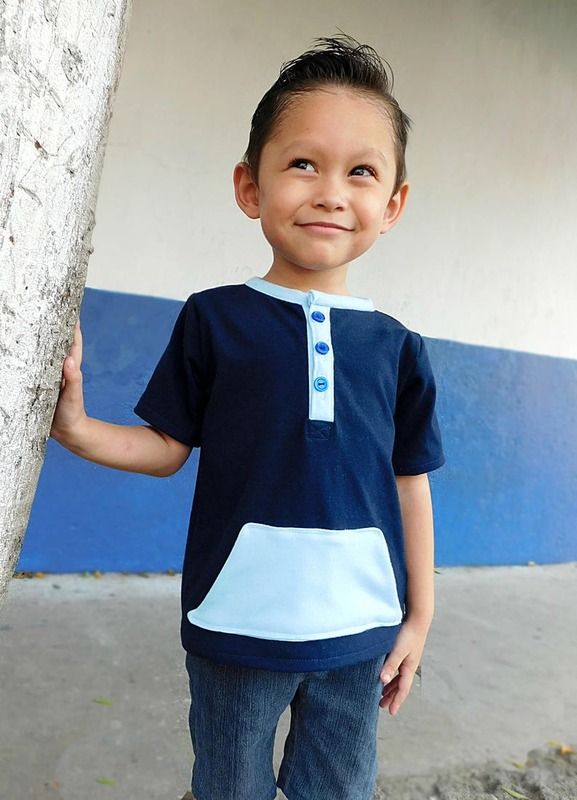 The pattern includes sizes 12 months to 8 years. (chest sizes 19.5" - 26" ) The shirt is designed to be a casual fit. Appropriate for everyday play or when a slightly dressier look is needed. The pattern should be sewn in a knit fabric. It requires 1/2 yard (12 month) to 3/4 yard (8 years) in your main fabric and 1/4 yard accent for placket and pocket in all sizes.